Nintendo has announced the existence of the "3DS," a 3D-capable handheld that will be formally revealed at this year's E3. Normally, the Big Three tend to save their megaton announcements for major shows like E3, but if Nintendo has been known for anything this generation, it's refusing to lock step with the rest of the crowd. An unassuming press release that went out last night carried with it a major revelation: The new line of Nintendo's famous handheld consoles is upon us. The Nintendo 3DS will be formally revealed at E3, but we know a bit about it already. The new device will be released sometime during Nintendo's next fiscal year (between April 2010 and March 2011), and will allow games to be "enjoyed with 3D effects without the need for any special glasses," whatever that means. 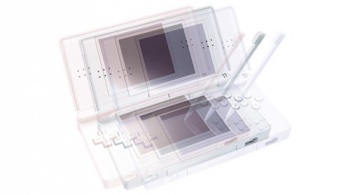 Despite the name, this is not a new revision of the DS hardware a la the DS Lite, DSi or DSi XL; the 3DS is a completely new line of hardware (as the Game Boy Advance was to the Game Boy, or the DS was to the GBA). However, it will retain full backwards compatibility with all DS and DSi titles, which seems to suggest it will have digital camera support a la the DSi. Judging by remarks reportedly made by Nintendo chieftain Satoru Iwata earlier this year, we may also be able to assume that the 3DS will have "highly detailed graphics" and "a sensor with the ability to read the movements of people playing." But it looks like we'll have to wait until June to find out the specifics at E3. Oh, and as MTV Multiplayer points out, "3DS" is just a temporary name for it. So it's what we'll be using until we find out the real name.